I have decided to keep a diary now due to the declining condition of my standard of living. Yesterday my human decided – because she apparently gets to decide everything in my life – that I shall be wearing a grazing muzzle out in the field!! Her reasoning for this is the grass is growing fast and I need to cut down the sugar and shift a few pounds. Well excuse me! She clearly does not realise that I am in show condition! She appears to have the idea in her head that I am to do “proper” work now that I am in my new residence. Which is quite frankly a ridiculous idea! I like my new residence as I now have my own private quaters at night during the winter but that is besides the point. I shall protest to this diet! Note to self – I am already protesting against the “proper work” by not catching but I shall up my game. 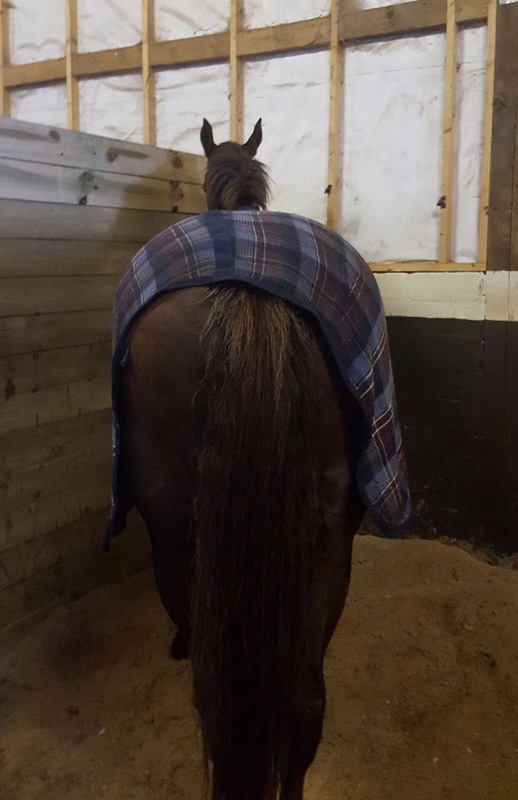 When she brought the contraption out I tried hiding at the back of the stable. But apparently “I am too big to hide”. I have never heard of such a silly notion. I had seen this thing before and had not enjoyed my last confinement in it. Am I not making my feelings clear enough?! But she got me. She pretended to have a sweet in her hand and was pretending to eat it. Reader…I was fooled. I shall not be falling for that again. I tried snorting and breathing hard out my nose so that she got my message. I tried hitting her with it. I was throwing my nose as hard as I could at any part of her body I could reach. She learnt to dodge my blows, she can be quick went she wants to be. Therefore when she finally released me from my quaters I marched down to the field and all the way I tried to convince her that this was a terrible idea. But I was not able to communicate this to her so I was left in the field with this thing attached to my face. Of course I did not wait to say good bye to my human I had to run off and tell my friends imdeiately. I have spent 3 years trying to train this human but it appears we still have a long way to go. My human is a stubborn one I shall have to discuss with the others in the field to see if they have humans who are as stubborn. Perhaps they have some tricks for getting their human under control. That is all I shall write for now, I will keep you update on the progress of my detention. Next postWe were doing so well!! I thoroughly enjoyed your post! I have two red-headed mares and I can definitely identify! Poor you! Horrible when owners do that to you!! Thank you for this post, now I know why I own a gelding and not a mare. Haha! I love your humor! Very engaging! Thank you 😊 Would you be interested in reading more of Evas thoughts in the future? ….but what girl really wants to go on a diet!! I had a big chuckle to myself whilst reading this! sums up my experience with mares exactly!! lol looking forward to the next installment! Oh she should talk to my mare. Nonie has been attempting to train her minions (aka my boyfriend and I) for five and seven years respectively. It has not been an easy task. The progress is slow. And we still insist on being stingy with the carrots.